So you want to rebuild your wardrobe but have no idea how? While offering advice countless times to floundering men, I soon realized that they did not have the basic parts constituting a wardrobe. The important things to keep in mind here are versatility and combination ability (I made up the second term). Versatility: The simpler the piece of clothing, the more versatile it can be. Simple colors and patterns are more versatile than crazy patterns and off the wall colors. Combination Ability: You want each piece of clothing to have the ability to combine with each other. If you buy a v-neck, you want to be able to wear it under your coat, your blazer, or your sweaters. What I offer below is not a completely exhaustive list but 10 things that any man must have in order to approach life with confidence. Every man needs a suit, whether it be for a date, a wedding, or when you want to strut around with gusto. Why navy or grey? These two colors are the most versatile – suitable for interviews and social events alike. Black is too formal and should be purchased as a 2nd or 3rd suit color. I know I’m cheating a bit here since this is technically two items, but you really need both black and brown. If you are only getting one pair of each, I would go for loafers as opposed to lace-ups for versatility’s sake. 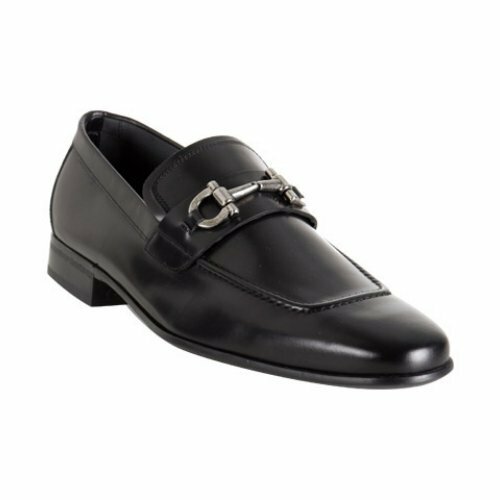 Lace-ups tend to be more formal, while loafers can be worn with a suit or with jeans. A white shirt is the epitome of simple, timeless, classic. It goes with everything and brightens your face, no matter your skin tone. I’ll go into depth about which collars and cuffs to choose, but you should probably avoid button down collars and French cuffs. I would personally go with a spread collar (although point collar is fine). If you have no idea what these terms mean, then google them and also subscribe to this blog, and I’ll explain later. This is an Armani shirt. Impeccable tailoring. Also, if you’re feeling a little crazy, grab a black button up too. Black is right there with white in terms of essential man items. A navy tie is a must have in any man’s wardrobe. Why navy? Again, look to its versatility. You can wear it with brown or black, and it is appropriate for business or casual wear. Don’t go TOO slim for your first tie as this can become unprofessional but definitely look to go skinnier as you build your wardrobe for casual looks. Blue MAY be the best color ever. Ok, so what’s the difference between a blazer and a suit coat? A suit coat matches a pair of pants, while a blazer complements your pants, especially jeans. My blazer is actually a cotton one, so it’s light and airy for spring and summer. Most suit coats are wool and look very awkward if worn in a casual setting without the pants. Be a Trail - Blazer. Why black and navy? I know I said not to get black, but a nice, fitted black blazer will take you a long way! For slimmer guys, try Zara for smaller blazers. For regular sized guys, try Banana Republic, Express, and Zara. Make sure you take it to a tailor! I’ll go into tailoring later, but never wear something if it is not tailored properly. Go plain – no tears or whiskering. In terms of cut, bootcut and straight leg are great. Slim, hipster cuts suit some guys, but if you are only getting one, then go boot or straight. I recommend Seven for all Mankind or for cheaper options, try Nordstrom Rack to find brands like Seven for 50% off. 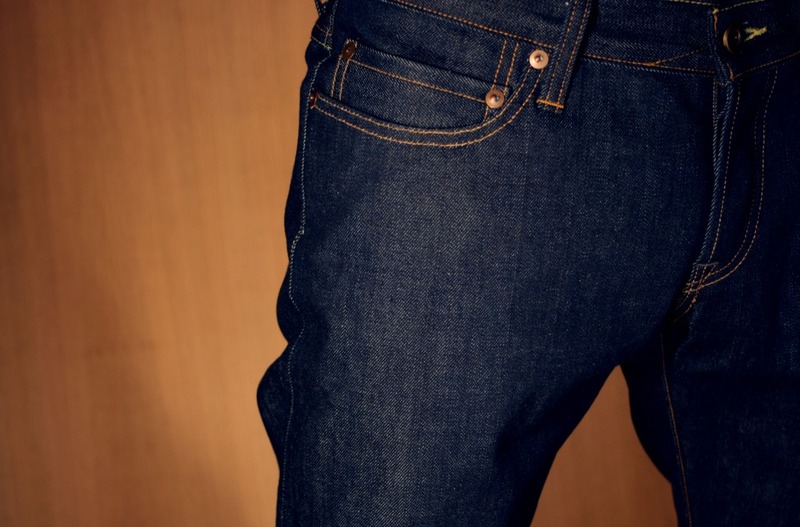 Superdark denim looks great with a t-shirt or a button up and has a slimming effect on your legs. It’s really a MUST have here. Dark Denim. Accept nothing less. A little something to get you through the winter months is a finely crafted coat. They are a little pricey, but they last for years. Purchase a simple belt with medium thickness to be worn in business and casual settings. No cowboy belts or too much ornamentation. Remember, the less ornate, the more versatile. Why v-necks? It’s personally my favorite kind of shirt. Some guys prefer crewneck, but I think that the “V” shape adds a little more niceness and looks great under a coat or blazer. Zara has some great V-necks as does Express – very plush and soft and not too expensive. Grab ones in black, navy, and white for some simple style. A V-neck sweater is an essential tool for layering in the winter. 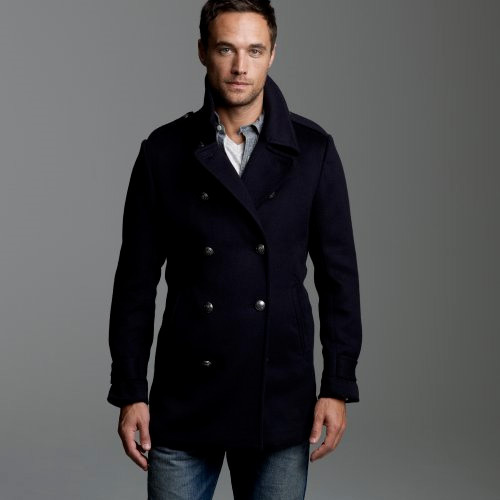 Wear it over a v-neck or a button-up and under a nice coat to achieve a classic, versatile look. Essential colors are black, grey, and navy. Lavender is also very nice, but a little advanced. Spring for it if you are feeling frisky. Bad sweater. Good sweater. Notice aforementioned layering. I hope this list has helped. As I noted above, this is not EVERYTHING you need, but it’s a very solid start. Also, you may be getting wind of my fashion philosophy – I like simple things that you can get a lot of mileage out of. This entry was posted in Fashion and tagged Belt, Blazer, Coat, Denim, Shirts, Shoes, Suit, Ties, V-neck Sweaters, V-necks, Versatility. Bookmark the permalink. I think this is probably the best article yet bc these 10 things, though quite simple, dramatically alter one’s wardrobe to a whole new level of sophistication. great post ehson! this top ten list is impeccable! you would be so great at writing fashion columns for men’s magazines. i would look up contacts for some magazines to see if you could be a free lance writer! Most helpful. Exactly what I was looking for. Great start to rebuilding my wardrobe. Favorite line from this post? Great Article Ehson! I just started reading your blog and it’s really insightful. I love all the style and grooming tips and it’s motivated me to pay a bit more attention to details. I especially liked your article about where to find more fitted clothing as that’s been a challenge. I usually shop at Express for button up shirts as I love the fitting, but sometimes I want to branch out but did not know about other brands known for modern fitted clothing. Anyway, I’d like your opinion on something. You talk about how V-neck shirts are the best, but they are the one type of shirt I’ve always strayed away from. V-neck shirts tend to expose your chest in a way that for some may seem unflattering if you have chest hair. Even with well-groomed chest hair, one might feel uncomfortable wearing a V-neck. What is your opinion on this? Have you noticed guys wearing V-necks who have visible chest hair, and what did you think?